"January new cars sales off to a good start"
The new vehicle sales market has hit the ground running in 2017, according to the latest aggregated new vehicle sales data from the National Association of Automobile Manufacturers of South Africa (Naamsa). January 2017 saw total sales of 50 333 new vehicles, a year-on-year increase of 3.7% – the first sales increase in 14 months, which represents marginal growth off a low base. This sales performance was the result of growth in the rental and government channels, where sales were up 32.5% and 26.6%, respectively. Sales through the dealer channel – where consumers are active, and the source of the majority of sales – was down 3.6%. “Growth in the industry is always positive, however the January result should not be seen as indicative of a trend for this year. Consumer budgets remain under pressure, as seen in the dealer channel sales, and we should not rely on continued double-digit growth in the rental channel,” said Rudolf Mahoney, Head of Brand and Communications at WesBank. WesBank’s data shows that demand for new vehicles declined slightly in January, with applications down 1% year-on-year. Not only is this in line with new vehicle sales data, but also the continued trend of consumers delaying new car purchases for longer. 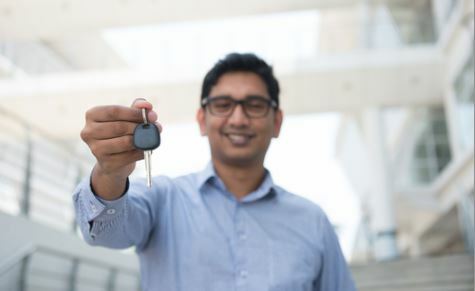 Consumers are choosing to hold onto their vehicles for longer, either due to negative sentiment and unwillingness to take on new debt, or due to affordability concerns. Demand for used cars remains strong according to application volumes, which grew 7.3% compared to January last year. Used vehicle finance applications outnumbered new vehicle finance applications 2.5:1. WesBank anticipates that Vehicle Price Inflation and interest rates will remain stable throughout 2017, which will go some way to restoring consumer confidence. However, fuel prices could start playing a bigger role in consumers’ mobility costs this year, which will negatively affect affordability.